Al’s Hobbies offer an RC Recycling program, whereby you can donate your old RC aircraft or other equipment and the value of the sale of your items go straight to the air ambulance service. Al’s Hobbies can also offer a collection service for these items in some cases. Please call Tel: 01908 313142 if you’d like to take advantage of the collection service. 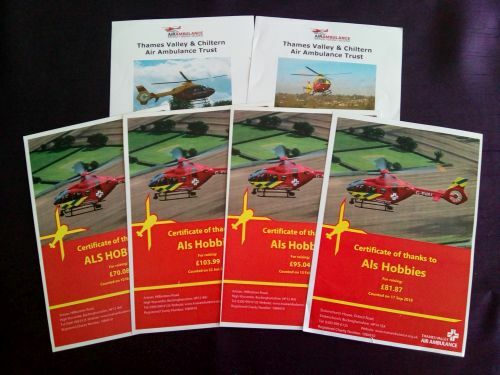 Al’s Hobbies will continue their support of the Thames Valley Air Ambulance for 2019, as well as ensuring your charitable donations make their way to the right place.